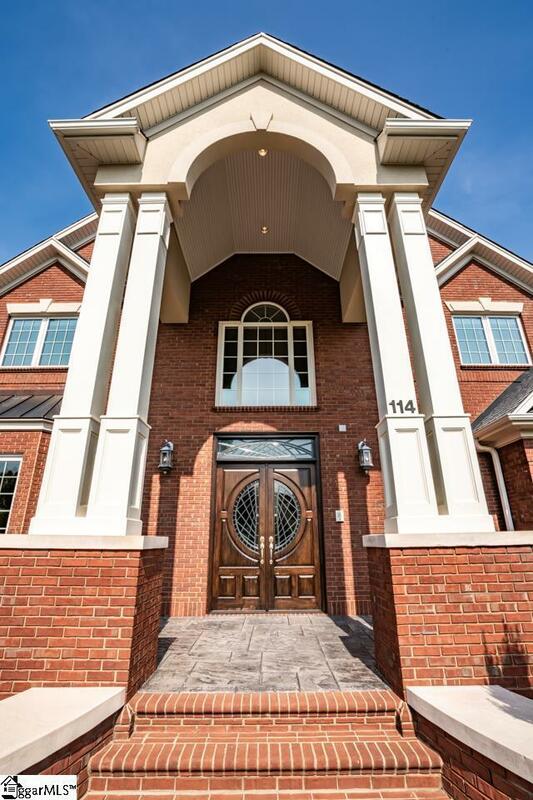 Welcome to your very own 100% custom built luxurious single family residence right here at 114 Farm Terrace Court! 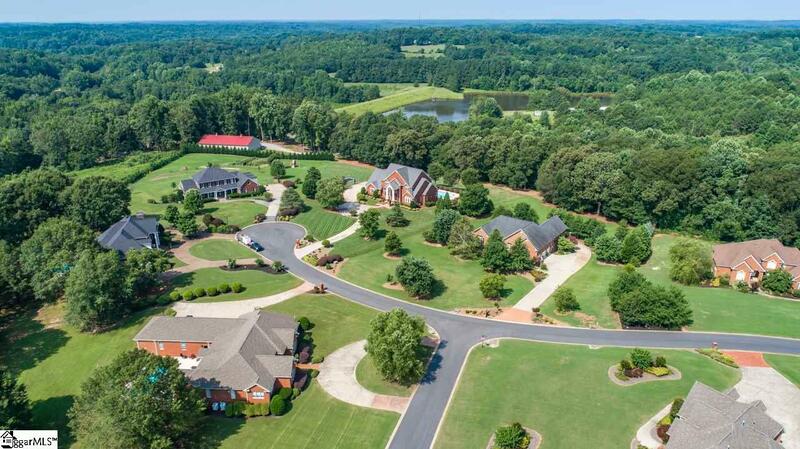 This beautiful brick home sits on over 3 acres and has an amazing curb appeal that is both stately and traditional. These owners were extremely meticulous in regards to architecture both inside and out as this home properly sits on this large maturely landscaped lot complete with in-ground pool with "cool deck and custom tile designs to include multiple seating areas. 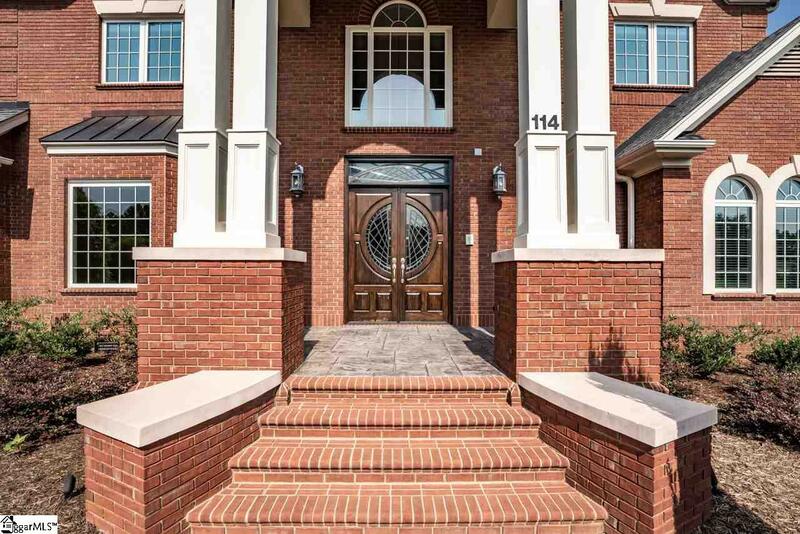 As you enter this home you will immediately be impressed by the double story foyer with floating stairwell and open floor plan that invite you to the rear of the home where entertaining is a breeze on the rear covered porch overlooking pool and yard. The gourmet kitchen is perfect for the chef of the home and has custom cabinetry with ample storage, double dishwashers, double sinks, beautiful granite, top of the line stainless steel appliances, commercial grade Thermidor hood with a custom copper backsplash, Thermidor professional series double oven with the range and indoor grill and griddle, direct access to covered patio with custom bricked in wrought iron safety rail overlooking the pool! The master bedroom is on the main level and has a beautiful triple Palladian window which allows ample natural light. This enormous master bedroom also has his and hers separate walk-in closets with custom California Closet systems, his and hers granite vanities, walk in shower with multi faucets and custom tile with glass door, an oversized Jacuzzi tub with multi jet system and a private water closet! Upstairs, you will find the most well thought out floorplan any size family could ask for with multiple bedrooms, and beautiful private bathroom suites! Also you will find a bonus room upstairs which is perfect for kids at play above the garage and could double as an additional bedroom if needed. On the lower level, you will be impressed with the quality and usable spaces. There is one large lower-level bonus room, a full exercise room, new carpeting throughout lower level, ample storage with multiple closets, a private office area or hobby room with walk-in Cedar storage closet which would make a perfect wine cellar or wine closet, and additional bath which provides perfect access from pool and guests as well. Do not miss the walk-in mechanical room which houses your interior HVAC units, multiple electrical panels, alarm system, central vacuum system, tankless hot water heater, the list goes on and on You simply cant go wrong with this amazing home at this extremely fair price. Come see this today!